-- Select a Size/Color -- One Size - 6.5"
Keep your dog or cat's treats fresh in a stylish container you won't mind showing off with the Carmel Medallion Pet Treat Jar by TarHong in Grey. 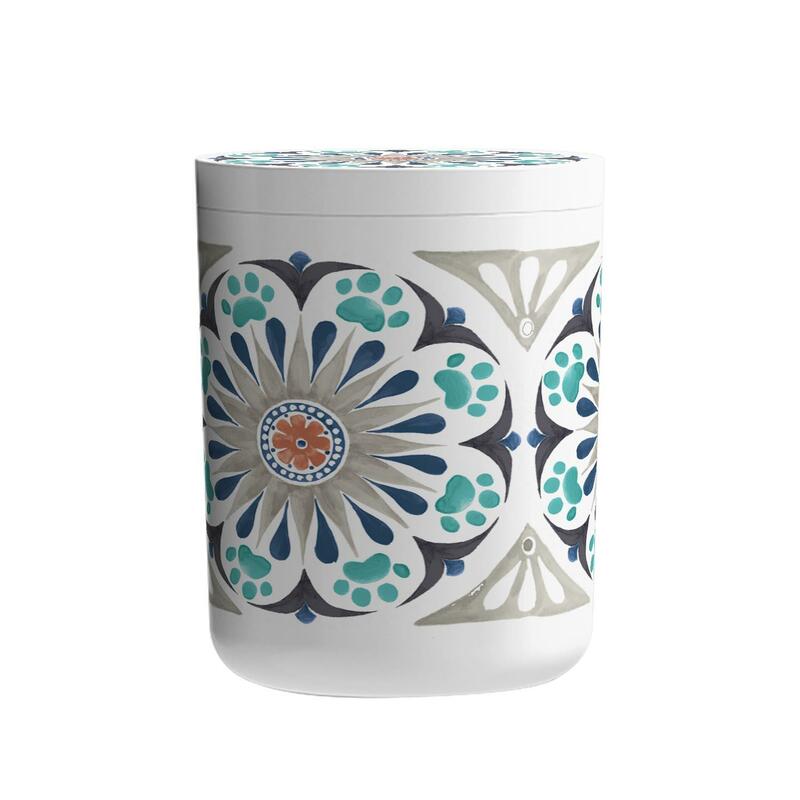 For a pretty way to store your precious pet's treats, the Carmel Medallion Pet Treat Jar by TarHong in Grey is a beautiful addition to your home decor. 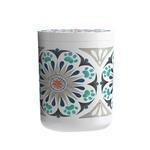 This lightweight plastic dog treat jar keeps treats fresh with a gorgeous medallion and paw print design in a soothing palette that will look fantastic in your home. At just 6.5 inches high and 5.6 inches across, this pet treat jar won't take up too much space on your counter or desk. Ideal for small dog and cat treats. Look for the matching Carmel Medallion Dog Bowl, cat saucer, and pet placemat, each sold separately. Sizing: 5.5" x 5.5" x 6.5"